Reese began training at Pinnacle Fitness in March of 2014. Reese is a 6-year Army veteran. He is a master fitness design expert along with being a compassionate and caring vegan trainer. 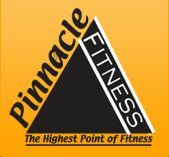 Tramell began training here at Pinnacle in May 2015. Tramell began his fitness training career as a gifted runner at the University of Illinois, winning seven Big 10 conference championships and being awarded All-American 3 times. *In 2007, Tramell became a professional runner for two years while working as an Assistant Coach for Track & Field at Texas Tech University. In addition to personal training on his own, it was at Texas Tech where he began diligently training athletes in the sprint, mid-distance, and strength track program. *Tramell earned certifications from the ACE and NASM as well as several specialty certifications and a NESTA Sports Nutrition certification. Tramell’s nickname here at Pinnacle is “The Science Book” because of his passion to learn more about nutrition and supplementation that can enhance one’s body. Tramell is a “no nonsense” trainer. He will push you to the best of your fitness ability and make you hit your maximum capabilities. You may recognize Tramell from the A&E show, Fit to Fat to Fit, where Tramell understands firsthand the struggle of gaining and losing weight.Tramell began training here at Pinnacle in May 2015. Tramell began his fitness training career as a gifted runner at the University of Illinois, winning seven Big 10 conference championships and being awarded All-American 3 times. *In 2007, Tramell became a professional runner for two years while working as an Assistant Coach for Track & Field at Texas Tech University. In addition to personal training on his own, it was at Texas Tech where he began diligently training athletes in the sprint, mid-distance, and strength track program. *Tramell earned certifications from the ACE and NASM as well as several specialty certifications and a NESTA Sports Nutrition certification. Tramell’s nickname here at Pinnacle is “The Science Book” because of his passion to learn more about nutrition and supplementation that can enhance one’s body. Tramell is a “no nonsense” trainer. He will push you to the best of your fitness ability and make you hit your maximum capabilities. You may recognize Tramell from the A&E show, Fit to Fat to Fit, where Tramell understands firsthand the struggle of gaining and losing weight. Marisa Downey is a native Atlantan who started working at Pinnacle Fitness 5 years ago as a personal trainer ACE certified in orthopedic/ joint health. In 2013 she went on to become a 200 HR Yoga Alliance certified instructor, teaching one-on-one and small group Hatha yoga classes. And most recently she has finished a 500 hour course work program to become a licensed massage therapist! Marisa’s approach to fitness is heavily influenced by the fluidity of yoga and includes functional body weight movements that promote healthy joints and full ranges of motion. She believes health extends beyond the gym and promotes a lifestyle of self care which includes regular stretching and a healthy diet!